Home > Blog > How Tall Should a Chimney Be? How Tall Should a Chimney Be? Fireplaces can be a great addition to just about any home. They come in different styles from the straight and austere ultra-modern versions to more extravagant regal models. With rustic brick and mortar variants, they can be customized to fit in just about any style of home. Preliminary research will show you that not only do these structures come in many different styles, but they can be made up of varying materials like brick, metal, and tile to name a few. Overall you can expect a fireplace to be composed of firebox – this is the area that holds the fire – a mantle to give decoration, safety items like grates and pokers, along with a flue and chimney to pull all of that smoke outside. 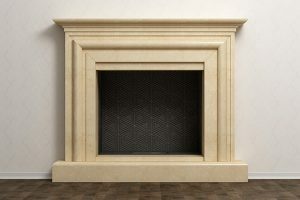 It’s the last of these parts that’s the most mysterious of fireplaces as they are often misunderstood and nearly impossible to inspect. To make matters worse this is also the most notoriously difficult part of the fireplace to properly maintain and clean – it’s a problem considering the part will be under the most corrosive elements! While there are many questions you might have for chimneys, one of the most pertinent is probably “How tall should it be?” Before answering this, it’s best to first go over how these essential parts of the fireplace work. Chimneys themselves have their beginning all the way in ancient Roman societies who used tubes to remove smoke out of bakeries. Large dwellings throughout Europe had them, but it wasn’t until the 16th century that they started being found in residential areas. Simply put, a chimney’s main job is to take hot gases and smoke from a fireplace, furnace, or stove and expel it into the outside atmosphere. These structures are vertical so gases can be efficiently removed from the primary burning area. The internal area where the smoke and gases flow is called the flue and is often the primary area of focus for chimney sweeps to clean. While not found in older chimneys, this flue has been required in all homes past the 1950s as it protects the chimney itself from the corrosive elements that come from smoke and gas. 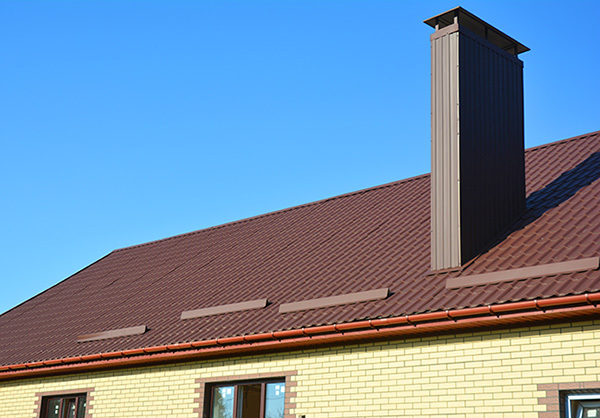 The flue and chimney can be made up of a myriad of different items with tile, concrete, and metal being the most common. The primary mechanism of use relies on the relative pressure from the inside to outside. As imagined, the temperature of the air inside the chimney is much higher than the surrounding air. This increased temperature results in a higher degree of energy adding to the air making it much less dense than the cooler air outside of the house. This can create a suction when the smoke is pulled out of a home by natural draft. The overall height of the chimney stack influences the amount of draft created – with the higher the stack typically translating to more draft. As imagined, if a chimney is too short it will suffer from poor drafting problems – this is a result of not enough internal pressure being built up to expel it to the outside. Chimneys that are excessively tall can have some issues as well though. 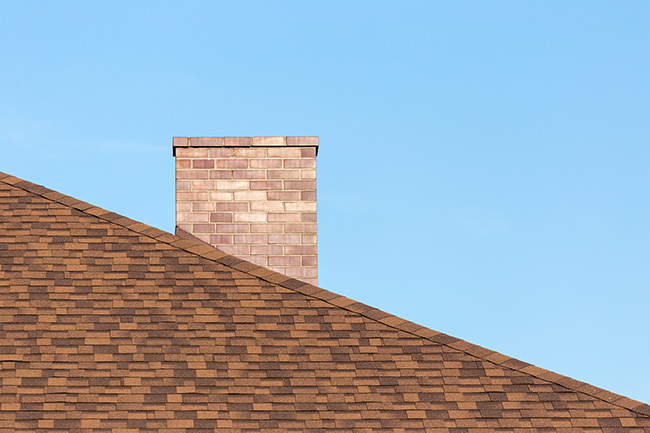 A chimney that’s too tall can result in the heated air cooling off by the time it reaches the top of the chimney stack. This can create a negative pressure inside of the smokestack that pushes smoke and other gases back into the home. In order to get a proper height, many engineers have created a formula to accurately create the correct size chimney. Knowing the molecular weight of the gas being emitted and assuming things like heat loss and friction are low, there are only a few other elements that need to be known. While outside the scope of this guide, things like gravitational acceleration, average temperature inside the chimney, the height of the chimney, among other factors must be calculated into this formula. For the layman, there are some rules of thumb that can be employed to figure out an extremely close approximation on how tall a chimney needs to be. The most common of these being the 2 foot, 10 foot, 3-foot rule. 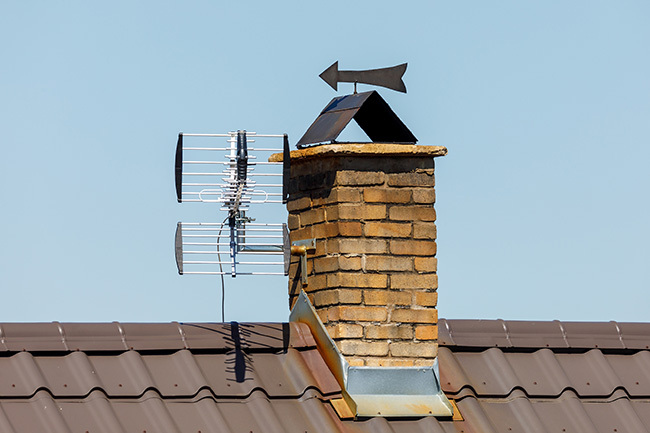 Roughly this means that a chimney should be 3 feet higher than the point it passes through a roof, while also being at least 2 feet taller than any part of a building that’s within 10 feet of the chimney. Ideally, you’ll want the chimney to be the tallest point on the house – allowing a home’s peak to be too tall can result in it competing with the smokestack for air pressure, reducing the effectiveness of it. While following proper stack height will maximize the efficiency of your fireplace in removing dangerous gases and smoke, it isn’t the only thing you need to be concerned with when it comes to airflow. Solid fuels like wood and coal produce a high level of creosote which can seep into the walls of the flue liner. This can result in a build up over the course of many uses resulting in restricted drafting. This leads to the obvious conclusion that smoke won’t be able to leave the fireplace effectively. Most dangerously is that this creosote can actually reignite causing a chimney fire. This fire can burn much hotter than the flue and chimney is built to withstand. The corrosive effect this can cause is in comparison to an opposite, but equally damaging, the force on the outside. Moisture can seep into the bricks of masonry fireplaces and freeze over the winter. This process undermines the mortar creating a flaking and loosening of the bricks. This can create leaks that reduce the effectiveness of the chimney while also being potentially dangerous. To mitigate these issues it’s recommended to follow some sort of maintenance schedule to keep your chimney in tip-top shape. 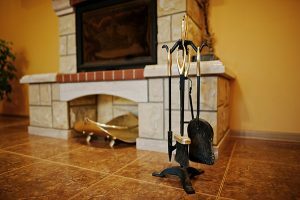 Having a certified chimney sweep come out to your home for an annual check-up is also highly recommended as they’ll be able to spot potential problems with their trained eye much faster than most people. 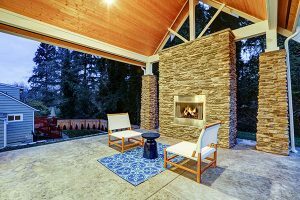 More modern materials, designs, and fuel sources can also be added to a new chimney and fireplace setup that has shown to have much less maintenance. Chimney height is important because it determines the effectiveness for which the toxic air created by burning can leave the building. Too short can mean that there isn’t enough internal pressure to overcome the outside pressure, while too tall can create a negative air bubble that pushes the rising gases and smoke back down. 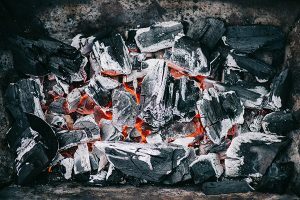 Not properly maintaining your chimney and fireplace can create additional drafting problems in the form of creosote buildup, chimney fires, and spalling of bricks. If you are trying to figure out the height of a chimney then go with the 2 foot, 10 foot, 3-foot rule. The chimney should extend at least 3 feet from its opening, and be 2 feet higher than anything 10 feet around it. Taking everything into account, the most important task for homeowners is to get a proper chimney sweep and inspection. It doesn’t matter how tall or short your chimney is because drafting problems occur more often than not if you don’t maintain a clean chimney. In this case, you’ll want to hire certified professionals who can inspect your chimney and clean the creosote that can block the flue and cause tremendous smoking problems. At Early Times, we have been keeping Chicago and suburbs clean for the last 30 years, and our professionalism makes us the most trustworthy chimney service company in the Midwest. Speak to a specialist and get a free quote today.